The 142-page study looked at nearly 260,000 traffic stops in 2014 and 2015. The City Council listened to a passionate debate Monday about whether the San Diego Police Department racially profiles drivers during traffic stops, and what they're doing to prevent it. This discussion was prompted by a study from San Diego State University researchers that found SDPD officers are more likely to search black and hispanic drivers than white drivers. After several hours of public comment the council voted to accept the report and continue to monitor and evaluate racial profiling within the SDPD. The police agreed to comply with all the recommendations from the study. "We believe the San Diego Police Department's culture, practice and policies must be continually monitored to help identify and dismantle those who contribute to bias policing and racial profiling," said Christie Hill, the Senior Policy Strategist at the ACLU of San Diego/Imperial Counties. 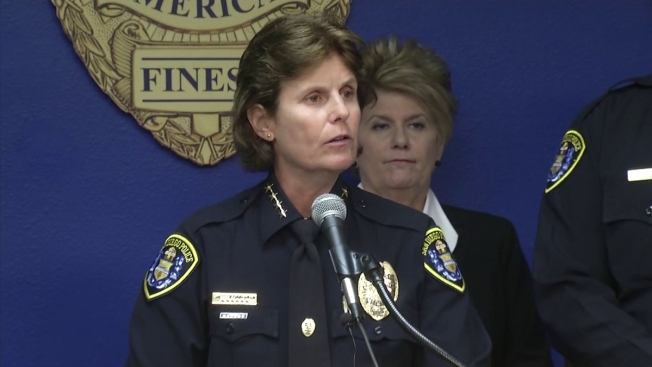 "Community policing is instilled from the very first day of the Academy and throughout our officers' careers," said San Diego Police Chief Shelley Zimmerman. NBC 7 first reported on the independent study by SDSU in November 2016. The research findings included that black and hispanic drivers were less likely to be found with contraband compared to white drivers, despite being searched more often. Black, hispanic and asian pacific islander drivers were also subjected to more field interviews. The 142-page study looked at nearly 260,000 traffic stops in 2014 and 2015. It concluded that although minorities were pulled over more frequently, race and ethnicity did not appear to be a determining factor for police. This indicates that while some races were pulled over more often, it was not necessarily caused with conscious racial bias.